Jetmore has been in the grill business for many years, and it shows in our experience and dedication. Whether you’d like to add a small charcoal or gas grill to your backyard or blow the neighbors away with a full outdoor kitchen, we have all the parts, tools, and accessories to make your backyard dream a reality. Read below to learn more about the parts we offer, and give us a call or stop by our showroom to learn more! For the ultimate in outdoor entertainment, nothing beats an outdoor kitchen. Jetmore has the knowledge, expertise, and top brands that you need to	make your backyard the perfect place to cook and entertain. Every single	outdoor kitchen we create is custom-made to fit your needs. 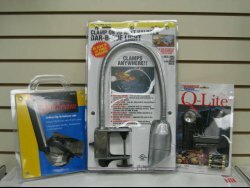 You choose	the counter materials; the exact grill you want; and other accessories	like sinks, refrigerators, access doors, ice makers, trash pullouts, and	more. We’ll build it from top to bottom and then install it in your	backyard so that it will last for years and years. 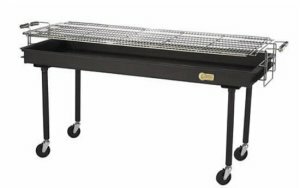 We currently are able to provide grills from Altima, Capital, DCS, Lynx, Viking, ProFire, FireMagic, and Lazyman. We carry other accessories from ProFire, Capital, OCI, Marvel, Summit, and Danby. Be sure to stop by our showroom or give us a call to design your outdoor kitchen from the ground up! These are the most popular grills sold today, and given their convenience	and ease of use, it’s no surprise. Buttons and knobs control the	heat so you can cook your chicken, hamburgers, steak, and more to perfection. You can choose a grill to run off liquid propane or natural gas, and you’ll	never have any messy charcoal to clean up. We carry many brands of gas grills, including Weber, Modern Home Product,	BroilMate, BroilKing, Altima, DCS, Capital, Lynx, ProFire, and Viking. Charcoal grills may not be the most popular grilling option, but many serious	outdoor cooks prefer charcoal because of the hotter burn and increased	versatility. You can burn either charcoal or wood, and adding wood chips	to the fire can create unique, smoky flavor to your food. 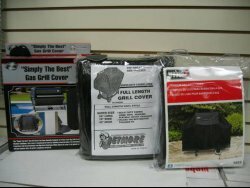 We currently carry charcoal grills made by Weber, Capital, FireMagic, Landmann,	Crown Verity, and many others. Can’t use a gas or charcoal grill? No problem! Buy yourself a handy	electric grill for indoors or outdoors. They’re especially ideal	for apartments and condos, and they plug into a standard 110 volt outlet. Plus, if you buy an indoor electric grill, you can still enjoy wonderful	barbecued food even when the weather makes outdoor grilling impossible. 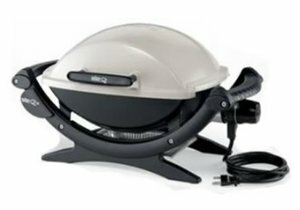 We carry electric grills made by Charbroil and MECO. Smokers will get you a unique flavor that your neighbors, friends, and	families will be talking about for days and days. Smoking is done by grilling	the food slowly over low heat and using a great deal of wood smoke. It	takes a long time (3 to 12 hours, depending on what you’re cooking),	but with the many different wood chips available for different flavors,	it’s simply impossible to beat in terms of uniqueness and taste. 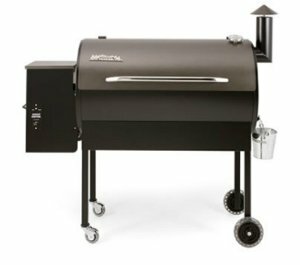 We carry smokers from Weber, Charbroil, Primo, and Landmann. We also stock	a wide variety of wood chips and chunks you need. 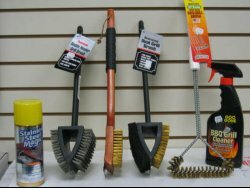 Whether you’re looking for a part to fix your grill or accessories	to make your experience more worthwhile, be sure to come to Jetmore! 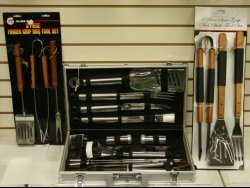 We	have everything you need to create an easy and enjoyable grilling experience. Has something gone wrong with your grill or smoker? Do you need more liquid	propane for your gas grill? No problem! Simply come down to Jetmore and	tell our friendly staff and associates exactly what grill you have and	what has gone wrong. They’ll soon find the parts you need and give	you all the advice you need to safely install it.